For 30 years, Vector has been your capable partner in the development of automotive electronics. More than 2,500 employees at 26 locations worldwide support manufacturers and suppliers of the automotive industry and related industries with a professional platform of tools, software components and services for developing embedded systems. Driven by our passion for technology we develop solutions which relieve engineers of their demanding tasks. Not only do our employees work on tomorrow’s electronic technologies every single day. We also engage variously in education, research and social responsibility. Efficient, technical solutions are our passion. Satisfied and successful customers are our motivation. We work every day to ensure that our customers achieve an increase in value in their work that we can also be proud of. Our customers value Vector as a reliable and technically competent partner in terms of efficient solutions for developing embedded systems. Customers from automotive, commercial vehicle, aeronautical, transport and control engineering worldwide rely on the solutions and products of the independent Vector groups. For over 30 years, besides innovation, the values of fairness, honesty and loyalty that are important to us have been our focus. These values, combined with a visionary perspective, have been the foundation for our successful growth. Mobility is Developing Faster Than Ever. With More Software and Increasing Complexity. Who Can Master This? More than 2,500 passionate people at the Vector Group. All with one mission: Simplifying the development of automotive electronics. With solutions made for engineers, by engineers. With tools for accelerating development. Tools that detect errors quicker and make testing easier. Tools to drive in the fast lane. Vector Solutions get engineers to where they need to be. Meet Vector solutions at a trade show, conference or special event or participate in a webinar. Vector supports universities and colleges with software and hardware, training and consulting, in the construction of laboratories, in research projects and lectures. We also support several Formula Student teams with know-how as well as software and hardware so they can develop and test the bus communication of their vehicles. 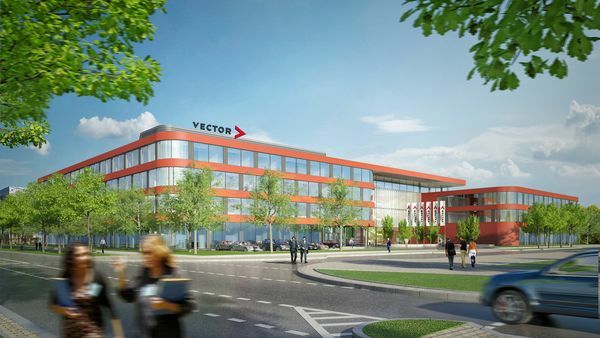 As a 100% subsidiary of Vector Informatik, VVC Vector Venture Capital GmbH will accompany young companies on their first steps towards economic independence. In a selection process, the VVC will evaluate the potentials of business ideas and provide young entrepreneurs with adequate support. These range from financial participation through the provision of workplace infrastructure to the mediation of contacts and presentation possibilities in the context of events and congresses. Our goal is excellence in all areas! We offer outstanding products and services. We implement your requirements to meet your goals, continually optimize our products and solutions, offer professional training class instruction, and first-class product support. A pillar of our success is the Vector Process Management System (VPMS). All of our locations world-wide operate on the basis of processes established in the VPMS. Their specification can be accessed from every work station with only a few mouse clicks - always up-to-date and always available. This is the basis for successful distributed world-wide product development with clearly defined interfaces and without inefficiencies. The high satisfaction of our customers and employees and the continuing growth in both sales and employees are evidence of Vector’s success. The Vector Group has been ISO 9001 certified since 1998 and has since then passed all annual ISO audits at all of our offices without non-conformance. Furthermore, we have been developing embedded software using maturity models required by the auto industry for a long time. For the development of the AUTOSAR basic software, Vector is considering the different customer requirements with maximal reuse of software components. The product line approach takes requirements from all customers into account the same time focusing on highest functionality and quality. This process is constantly being developed and improved systematically. The process was evaluated in June 2014 by Kugler Maag CIE GmbH regarding conformity to the Automotive Spice capability Level 3. The evaluated process areas match the HIS scope without regard to the system level; this means that they cover all areas which are relevant for pure software projects. All process areas within the HIS scope were assessed with Automotive SPICE Capability Level 3. The results verified the high value that Vector places in the development quality of its products. In attaining SPICE Capability Level 3 once again, the process for developing AUTOSAR basic software is well equipped to meet future requirements. This verified high process quality is also an excellent foundation for developments related to the ISO 26262 safety standard. Many car manufacturers demand that the development of safety-related electrical and electronic systems in motor vehicles comply with the ISO 26262 standard. It defines an action model with activities and work products as well as applicable methods. MICROSAR Safe – the safety-relevant AUTOSAR basic software from Vector – was developed according to ISO 26262 to be used up to ASIL D. This has been confirmed by independent institutes. In addition, PREEvision – the Vector tool for model-based electrical / electronic development – supports the design of safety-relevant architectures according to ISO 26262. Since 2013, Vector Informatik GmbH has been approved by the federal office of aviation as a known consignor. The company complies with the requirements of EU Regulation (EC) 300/2008. With this approval, Vector is recognized as a known consignor and is listed in the EG database of the regulated representatives and known consignors under the approval number DE/KC/01589-01. In 2017 Vector has been certified as Authorized Economic Operator by the German Customs Authority. The company complies with the requirements of the World Customs Organisation (WCO) and the EU Regulation (EC) 648/2005. With an optimized and secured logistic Vector delivers fast and reliable to customers in foreign countries, since the customs procedures are simplified and trustfully.